March 11, 2018 - ​11th annual "Luc Robitaille Celebrity Shootout"
Join us at the 11th annual "Luc Robitaille Celebrity Shootout" in Los Angeles! This event is coming off the most successful Celebrity Shootout ever! You won't want to miss this year's event! Proceeds from the event will benefit Stacia and Luc Robitaille's nonprofit, Echoes of Hope! The organization supports children, youth, and young adults in need, focusing on the success of at-risk and emancipated foster youth by providing the resources, love, and support they so richly deserve. 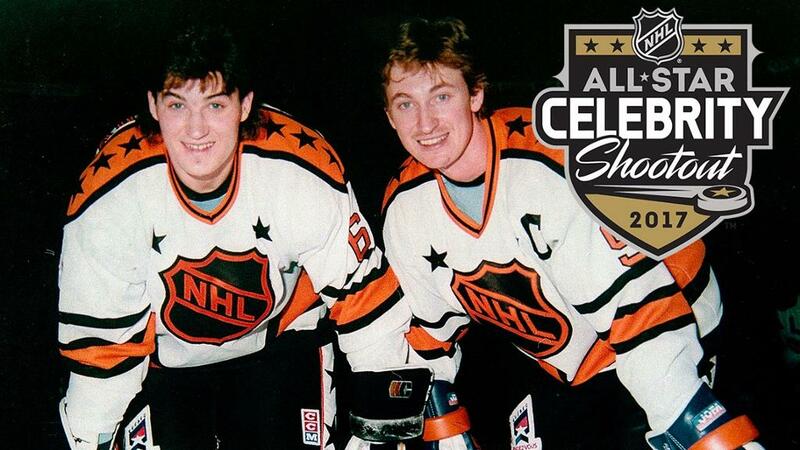 Luc Robitaille will have two of his former LA Kings teammates on his side as he and Team Lemieux will face-off against Team Gretzky at the NHL All-Star Celebrity Shootout™ at 2:15pm at STAPLES Center. The game will occur before to the 2017 Coors Light NHL All-Star Skills Competition™. Fans with tickets to the Skills Competition will be able to enter STAPLES Center to enjoy the NHL All-Star Celebrity Shootout™. Doors open at 2 pm. Both rosters feature plenty of celebrities, as well as some of the greatest NHL players of all time. 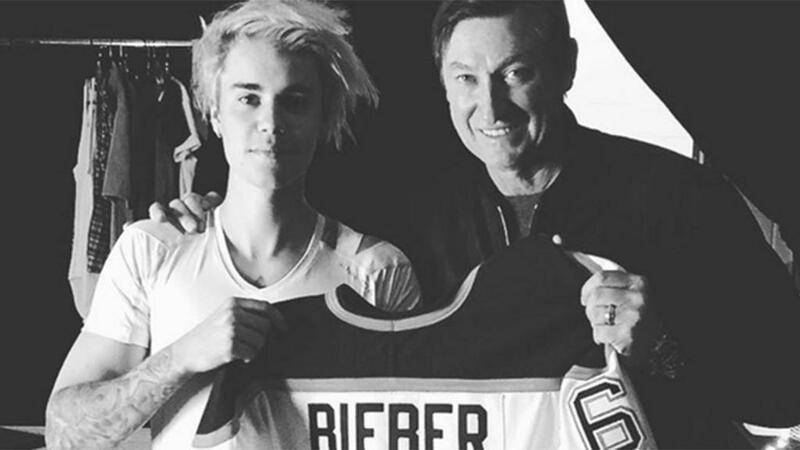 Pop superstar Justin Bieber and Chicago Blackhawks forward Patrick Kane are the latest additions to the rosters, which features 21 members of the 100 Greatest NHL Players list as well as Wayne Gretzky and Mario Lemieux coaching their respective teams. 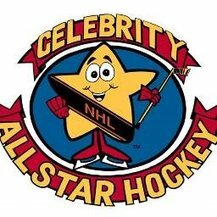 ​Celebrity NHL fans include men and women of all ages and include actors, musicians, and fellow athletes. Many of these fans played the game as kids and some of them still lace up the skates on a regular basis. Some celebrities are quite visible as they participate in marketing promotions for their favorite clubs and others often hold hockey games to raise money for charities. Jerry Bruckheimer (USA; Detroit, Mich.); film and television producer --Bruckheimer has had his share of power plays, both as a Hollywood dealmaker and hockey player. He is behind some of the best-known shows on TV, such as the CSI series, Cold Case, and The Amazing Race. His movie credits include Beverly Hills Cop, Flashdance, Top Gun, The Rock, Con Air, Armageddon, Black Hawk Down, and Pearl Harbor. Many Hollywood types and former NHLers play in his puck posse, and he scrimmages at least once a week. The Detroit native has invested in a new sports arena in Las Vegas, and his name always comes up in rumors about possible ownership in an NHL franchise there. He got into hockey after working out with former L.A. Kings tough guy Marty McSorley. Another ex-King, Luc Robitaille, is part of Bruckheimer's puck posse. 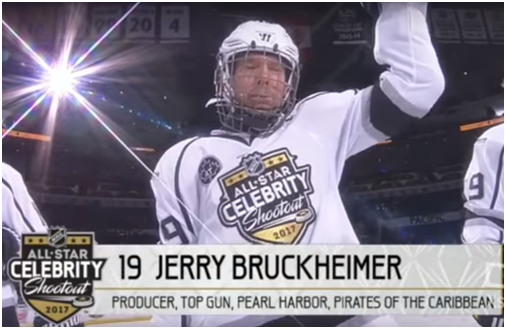 Now Bruckheimer scrimmages at least once a week whenever he's in the L.A. area, with famous actor clients such as Tom Cruise and Cuba Gooding, Jr., sometimes joining him on the ice. The NHL All-Star Celebrity Challenge was a benefit hockey game to raise money for Hockey's All-Star Kids and Children's Hospital Los Angeles. 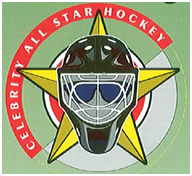 The games featured celebrities teaming up with NHL alumni on two teams led by Jerry Bruckheimer and David E. Kelley. The teams were named Bruckheimer's Bad Boys and Kelley's Heroes. Presented by Microsoft Windows XP, the NHL All-Star Celebrity Challenge was held in Los Angeles at the Staples Center on Wednesday, January 30, 2002. 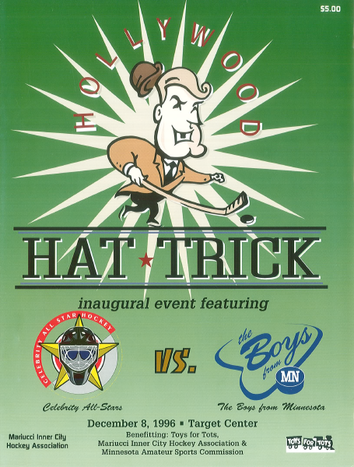 The Celebrity All-Star Team played the Minnesota All-Star Team on December 8, 1996 at the Target Center in Minneapolis, Minnesota. The event benefited charities that included Toys For Tots, Mariucci Inner City Hockey Association and the Minnesota Sports Association. 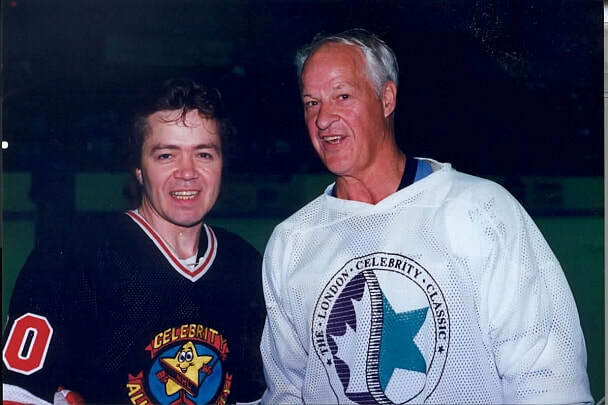 In 1995 Gordie Howe teamed up with the Celebrity All Star Hockey teams for the Boston Garden Farewell Celebration. Celebrities played and raised donations for charity during the closing of the Garden. 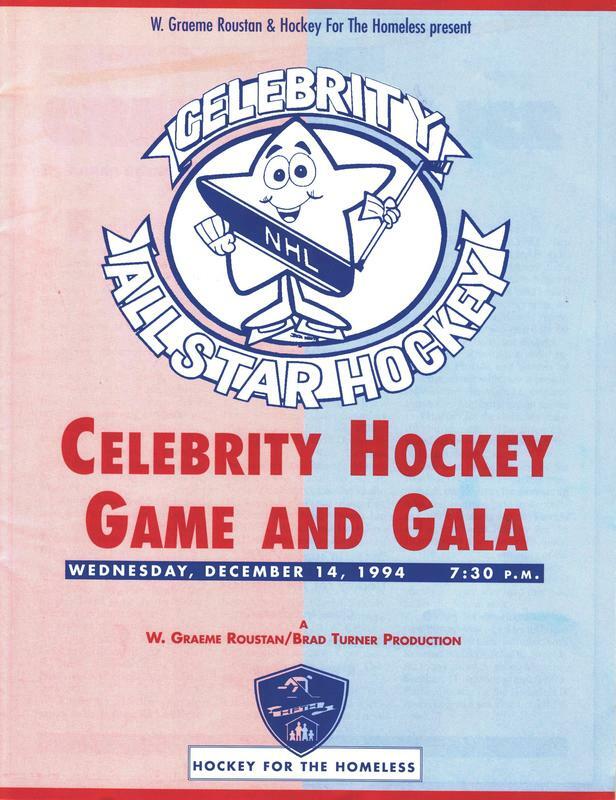 In 1995 the Celebrity All Star Hockey Team played in a Celebrity Hockey Game and Gala at the Forum in Los Angeles that raised donations for homelessness and youth hockey non-profit organizations. In 1991 the Detroit Red Wing Legends led by Gordie Howe faced-off against Hollywood Celebrities.